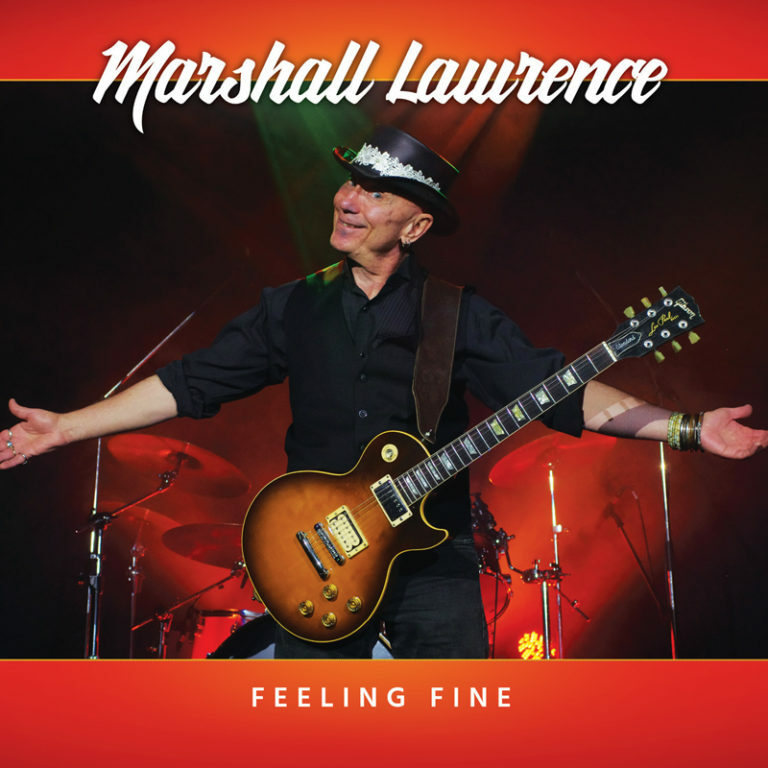 Q&A with Canadian musician Marshall Lawrence – Rock, Blues & Roots with a raw edge and an acid twist. Basically, it’s really opened me up to new and exciting experiences. It’s all about freedom of expression, exploring who you are as a person, what your core beliefs are, and it teaches acceptance and tolerance. I’ve had a lot of different experiences in my life and all of them, good or bad, shaped me into the person, songwriter and musician that I am today. Some people have compared my journey to a box of crayons that was crushed by a truck on the highway on a hot summer day with all the colours running together and mixing. They often comment that you can never really know what you’re going to get with me and you certainly can’t put me in any one category.I think that really sums up my life and my musical journey. How do you describe Marshall Lawrence sound and songbook? What characterize your music philosophy? I’ve labeled my style of music “Acid Rock & Blues” to describe the combination of all the styles of music that I’ve played and my incorporating those styles in my approach to guitar playing and songwriting. You know, I did the rock thing, I did the punk thing, I did the funk thing and, and I played the blues. I use all of these musical influences in my music. So really, my music is a mixture of blues, soul, rock, punk, and funk and above all else, self-expression. Ultimately, it is important to me to respect the tradition of those genres but it’s also important to me to make each song I write my own, rather than it sounding like someone else. Originality is very important to me. I also like to create musical landscapes with the other instruments involved in performing/recording my songs. In exploring this aspect of my music, I don’t always know where the music will take me. Musically it can be very exciting. This approach really came together in “Feeling Fine” (2018), my 5th CD. My approach to writing and recording “Feeling Fine”was to simply have fun and let the music flow. One of my favourite memories comes from when I recorded my 4th CD called “House Call” (2013). The Holmes Brothers came in and sang backup vocals on a track called Factory Closing Blues. They just walked into the studio and nailed the tune. They were true professionals and really good guys. I had lots of fun working with them. Man, that was a great experience. I really miss the stripped down, bare bones, raw emotion of early blues music. It really wasn’t so much about the production of the recording, how technically proficient you were on your instrument, how fast of guitar player you were, how many notes you could fit into your guitar solo, or about vocal gymnastics. It was really all about being real and getting yourstory across. It was about the vibe and feel. I think some of that is missing in today’s blues. But the music industry is changing and we have to change with the times I suppose. What do you learn about yourself from the blues? Is it easier to write and play the blues as you get older? I’m really not sure if it gets any easier to write and play blues as you get older. I guess, you have more experiences to draw from but you still go through the same process in expressing those experiences vocally and musically. For example, if you’re singing about a break-up in a relationship, well, you really need to know what a relationship is all about and you need to know and have experienced the heartache of a breakup. You need to have life experience to really put the emotion, the feeling, and the healing aspects into the songs you write and your music. To be able to do that authentically, you need to have lived life and to have experienced both the good and the bad. I think I would like to bring back the days when there was still mystery and wonderment surrounding the music that was created. Back in the day I think music was more real because of the limited tools and audiotechniques you could use. Nowadays, you can pretty much fix anything digitally and have it come off sounding great. Of course, you can still perform and record at the bare bones level and some artists in various genes do, but overall I think that is a becoming a lost art and the industry has moved away from that. Make an account of the case of the blues in Canada. Which is the most interesting period in local blues scene? I think the blues scene in Canada is alive and well. And that Canadians, in general, appreciate blues music. I think the approach in writing and performing music in Canada is expanding and evolving.Blues is attracting younger audiences and isbeing infused with new and innovative ideas and sounds. There are some exciting innovations happening. Musicians have been adding music loops, overlaying various drum beats, rapping the lyrics, using unique instruments not usually associated with blues, and writing fascinating and non-traditional arrangements. This has me very excited.The Blues is still very much alive and evolving! What are the lines that connect: Music &Psychology? What touched (emotionally) you from Psychology? Overall, blues is a healing music. It’s like going to a counselling session. It’s about making the implicit, explicit. Getting everything that is bothering you out in the open and talking, or should I say singing, about it. Really, Blues allows you to express and sing about what you are feeling and going through, good and bad. You may be singing about some bad patches in your life but through the singing you are working through it and passing on a lesson to whoever is listening. Through the telling you feel good and so does the audience. Everyone can identify with the blues. Blues is cathartic. Blues helps us laugh at our troubles, share our story with others, helps us put things in perspective and helps us move on. It lets us know that we’re not the only ones that have experienced bad patches in life and survived them. What is the impact of Blues and Rock music and culture on the racial, political and socio-cultural implications? I think both Blues and Rock music cross cultural, racial, political and socio-cultural lines. Music doesn’t differentiate or discriminate. It’s a language unto itself. It joins people in a common bond and shared experience. It creates change in the world by allowing generation after generation toexpress their lives, their concerns, their ambitions and their hope for the futurethrough music. Let’s make the question about going back in time for 3 – 4 days. I would really have liked to attend the original Woodstock Music Festival in 1969. To see all of those iconic acts live and in one place, act after act after incredible act must have been a surreal experience. Jimi Hendrix, Joe Cocker, Santana, Mountain, Janis Joplin, Crosby, Stills & Nash, The Who. Those were the musicians and the music that shaped and influenced the culture and lives of an entire generation. That would have been mind-blowing. Excerpt of a review of “Feeling Fine” in Blues Alive 76 magazine (#34, September 2018, France).